Taste of Moshava – Shabbaton! · Shabbat singing, dancing, ruach and traditions just like at Moshava!  Camp Moshava Wild Rose – 2013 Calendar! Celebrate a camper’s birthday, your wedding anniversary (met at Moshava? ), tzevet birthday or any other special occasion, whether you are parents, grandparents or alumni. For $18 per entry you can have the name(s) and event included on the date you specify. Choose as many names and dates as you would like and respond to this email with the information then click here to pay through PayPal. The calendar will be printed and mailed before the first of the year, so the deadline for all orders is next week, December 12th!! This past November, Camp Director, Josh Zwelling, and Assistant Director, Shira Kroll attended the Annual Conference of JCamp180, formerly the Grinspoon Institute for Jewish Philanthropy. The conference included representatives from over 100 Jewish overnight and day camps throughout the United States and Canada. The two day conference was filled with sessions and workshops on camping and the power of teamwork. Representatives from all the camps were also given time to network amongst themselves and share ideas. One of the highlights of the conference came Sunday evening when Camp Moshava Wild Rose was one of only seven Jewish overnight camps recognized for the success and achievements over the past year in reaching the “Legacy” program goals. A special thanks to Rivkie Lafer for all of her hard work as the coordinator of our Legacy program. For more information on the Legacy program and how you can help ensure the sustainability of Camp Moshava Wild Rose for future generations please contact the Moshava office 847-674-9733. Early Registration is Ending December 15th! Don’t miss out on 6 WEEKS OF CAMP FOR THE PRICE OF 4!!! Matchilim program for chanichim (campers) completing 3rd grade. Chanichim completing grades 3rd-8th have the option to attend for either 4 or 6 weeks. High School Programs available for chanichim completing 9th & 10th grades.